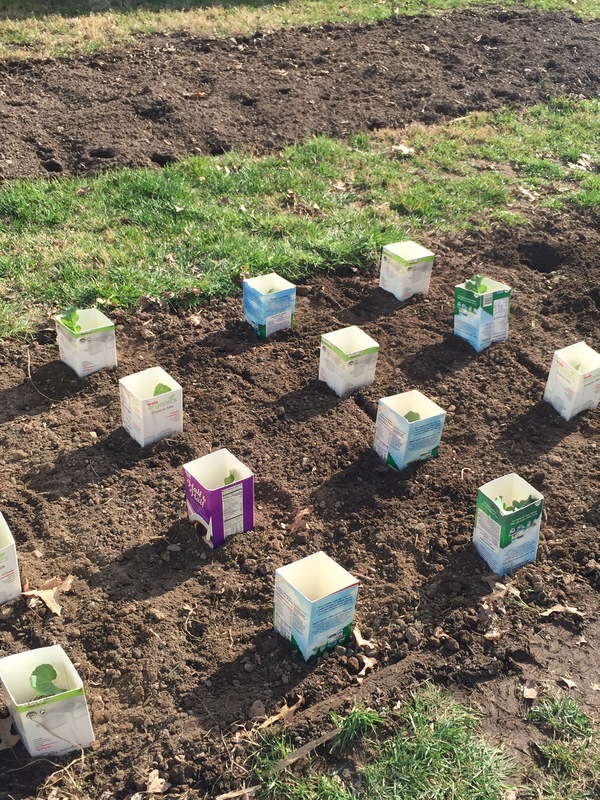 Push the milk carton down into the soil, to help keep it in place. Depending on the type of the plants, I will sometimes cut the milk cartons in half. 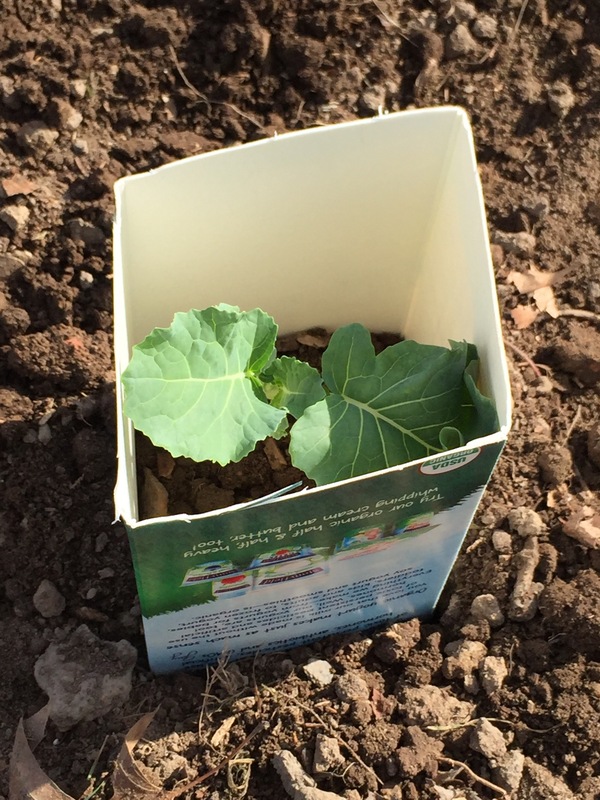 Lots of broccoli and cabbage plants protected by milk cartons. Once the plants get well established I will remove the milk cartons from around the plants. The milk cartons, if stored in a dry location, can be reused for a few seasons. The only exception to this is when used around broccoli. I usually just leave the broccoli grow up through the milk carton and don’t attempt to remove the carton until the life cycle of the plant has expired. 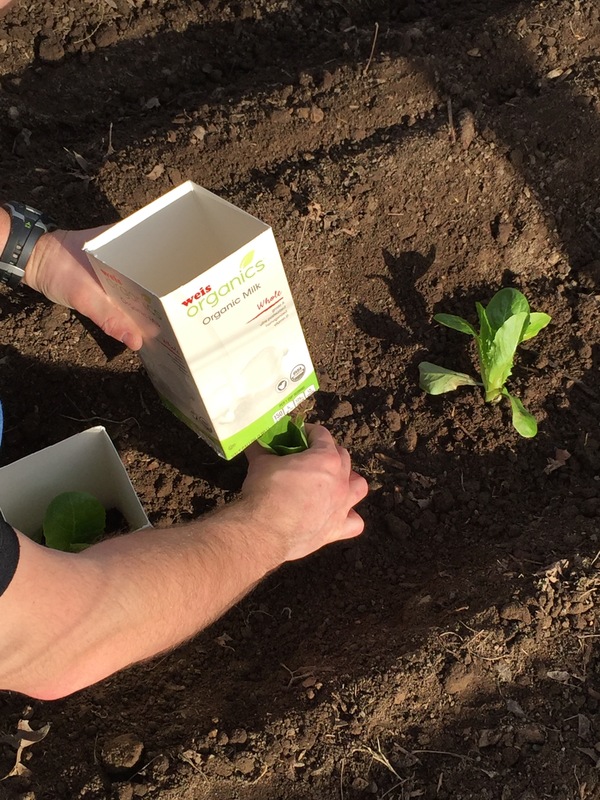 The use of milk cartons is an inexpensive way to protect your young plants. Plus, it looks like your growing milk! This entry was posted in Cooking, General, Planting, Plants and tagged Backyard gardening, gardening, Homesteading, Organic gardening, Urban Gardening, Vegetable Garden by M Riland. Bookmark the permalink. It’s a very good idea! I’m preparing the soil outside right now and soon I’ll start with transplanting my new veggies. Definitely trying this good idea and I’m surely recommending it to my sister. Thank you for sharing this great and useful info! Agree, this is a great idea, why the exception with broccoli? It’s not a real great reason, but the broccoli grows tall enough to pass through the top of the carton before it forms a head. 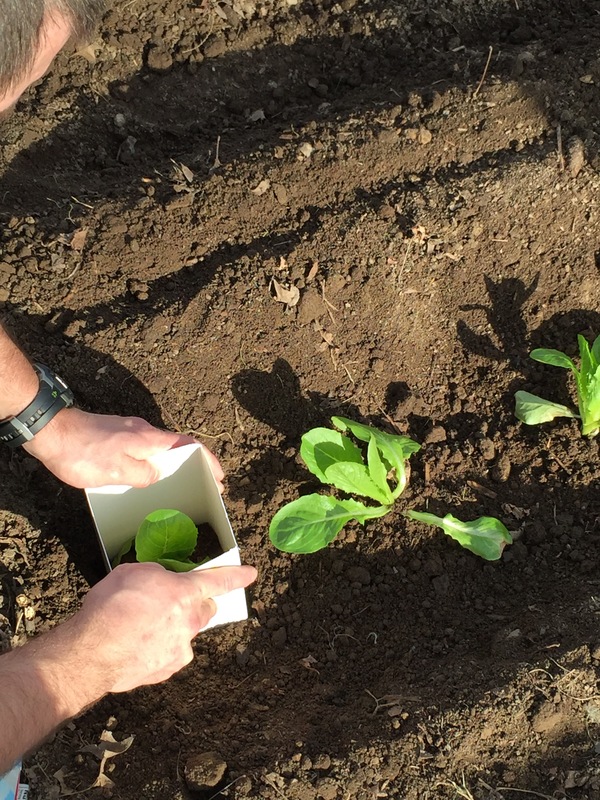 Unlike cabbage and lettuce that like to spread out as they grow, so I remove the cartons from those. Just no reason to remove it from the broccoli.